Ivanka Trump is the daughter of billionaire and current US president Donald Trump. She has an official role at the White House as a senior advisor to her father. 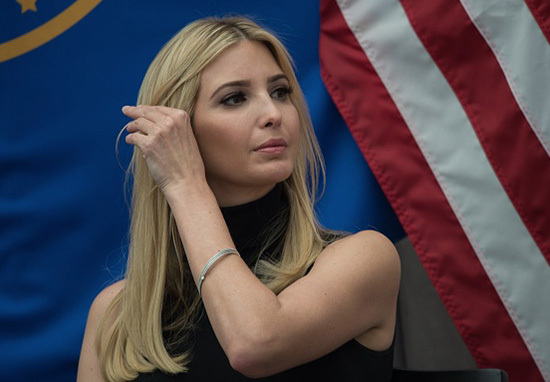 Who is Ivanka Trump, how old is she, when is her birthday, how tall is she, what college did she attend, where was she born, does she have siblings and what is her background? Ivanka Trump’s real name is Ivana Marie Trump. She was born in New York on October 30, 1981 and is 37 years old. She stands at 1.8 metres tall. Ivanka has two brothers, Donald Jr. and Eric, and a half-sister, Tiffany, from her father’s relationship with Marla Maples. She also has a half-brother, Barron, whose mother is Melania Trump. Ivanka went to the Chapin School in Manhattan before being sent to boarding school at Choate Rosemary Hall in Wallingford, Connecticut. She studied at Georgetown University and the Wharton School at the University of Pennsylvania and graduated with an economics degree in 2004. While studying she also did some modelling work for brands such Tommy Hilfiger and Versace. After graduating she started a fashion businesses and worked within the Trump organisation. She also joined her father in season 5 of The Apprentice. Why is Ivanka Trump famous and what is her occupation? Ivanka Trump is the daughter of Donald Trump, a real estate billionaire and the current president of the USA. She acts as his Senior Advisor and has her own fashion and jewellery range. 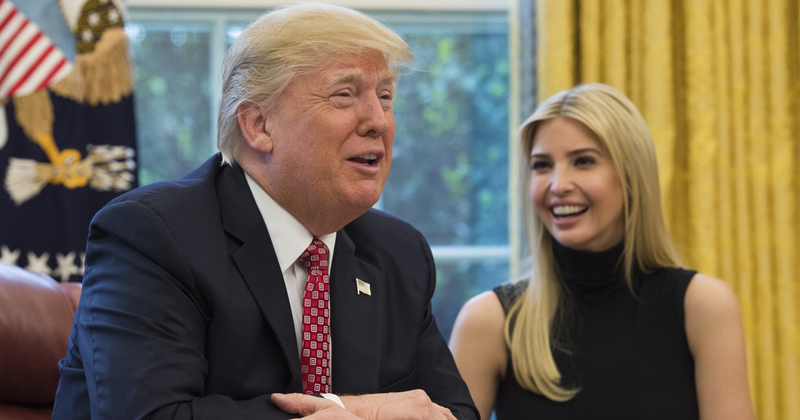 What is Ivanka Trump’s net worth? The Express newspaper states that Ivanka Trump has a net worth of around $300 million. Her husband, Jared Kushner, is thought to be worth close to $800 million. How much does Ivanka Trump earn? It is difficult to get an accurate understanding of how much she makes in a year, as her assets are so diversified and she does not release her tax returns. As a couple, Ivanka and Jared are thought to be worth close to $1billion. How much does Ivanka Trump weigh, what size dress does she wear? According to Celebsiren.com , she weighs 141 pounds or 64kg. She is reportedly a US dress size 6, which is a 10 in the UK. Who is Ivanka Trump’s mother? Ivanka Trump is the daughter of Donald Trump and his first wife Ivana. What religion is Ivanka Trump, is she Jewish orthodox? She was brought up as a Presbyterian but converted to become an orthodox Jew before marrying her husband Jared Kushner. Ivanka is senior adviser to her father President Trump. What designers does Ivanka Trump wear, where are her clothes made? As well as wearing designs from her own label, Ivanka Trump, she is often seen in designs by Oscar de la Renta, Erdem, Roland Mouret and Carolina Herrera. Who has Ivanka Trump dated, is she married, who is she married to, why doesn’t she wear a wedding ring? She previously dated Jared Kushner from 2005 but the couple broke up in 2008 as Kushner’s family disapproved of the relationship. They got back together and married in 2009 after Ivanka Trump converted to Judaism. Before her relationship with Jared, she had been romantically linked to Sean Brosnan, James Bingo Gubelmann and Topher Grace. Does Ivanka Trump have kids, what are their names, how many nannies does she have? The star has three children, a daughter, Arabella Rose, and boys, Joseph Frederick and Theodore James. The children have a Chinese nanny called XiXi who is teaching them to speak Mandarin and there are reports they’ve a second nanny to share the workload. Ivanka and Jared say they try and be at home on weekends so they can be hands on parents. Has Ivanka Trump had plastic surgery or cosmetic surgery, what has she had done? After comparing her current look to older photos, commentators have speculated that Ivanka has had a nose job and has had her breasts enlarged, but this has not been confirmed. How many houses does Ivanka Trump own? She and Jared Kushner rent their home in the upmarket suburb of Kalorama in Washington D.C for a reported $15,000 a month. She owns an apartment in the Trump Park Avenue building in New York and makes use of numerous Trump family properties such as those in Florida, upstate New York and Beverley Hills.